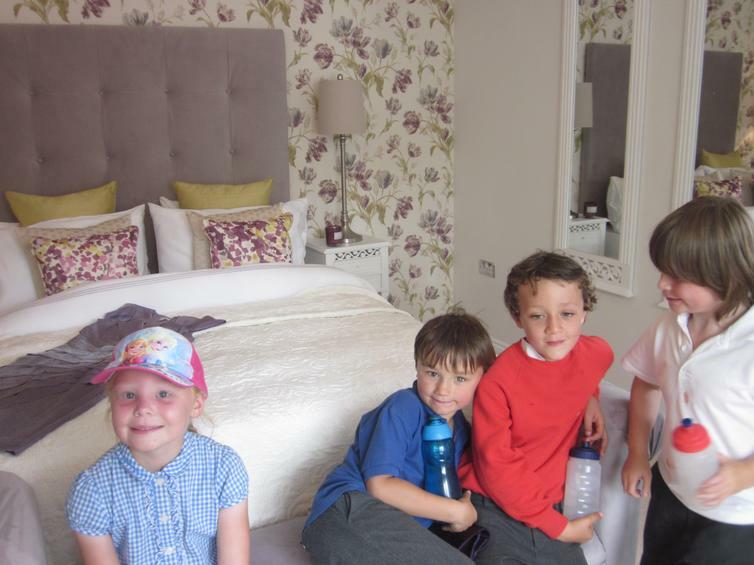 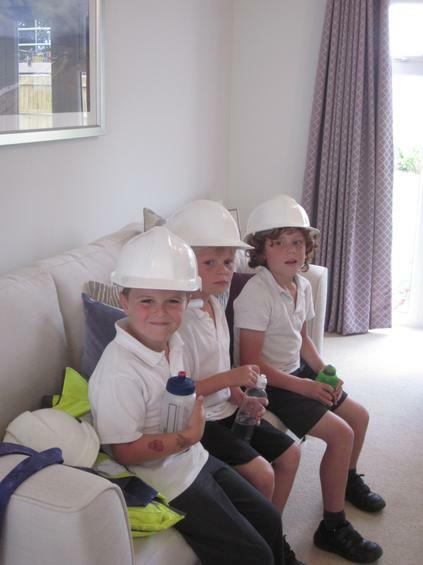 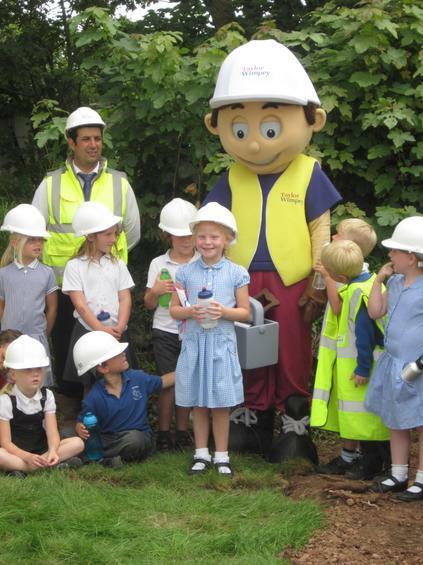 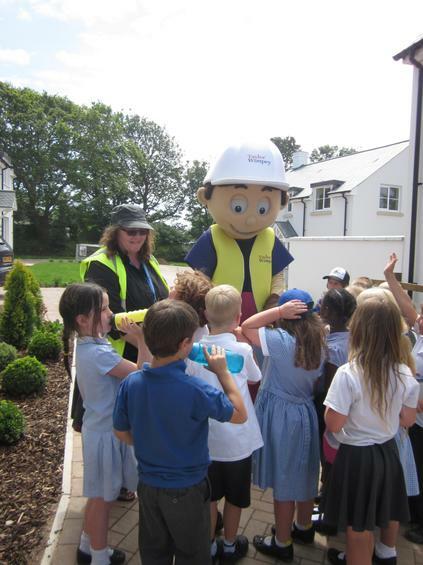 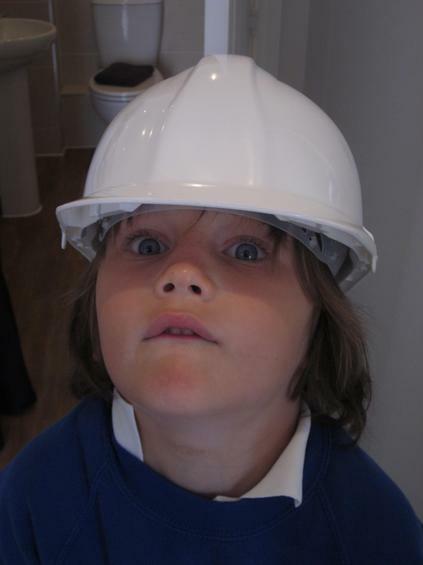 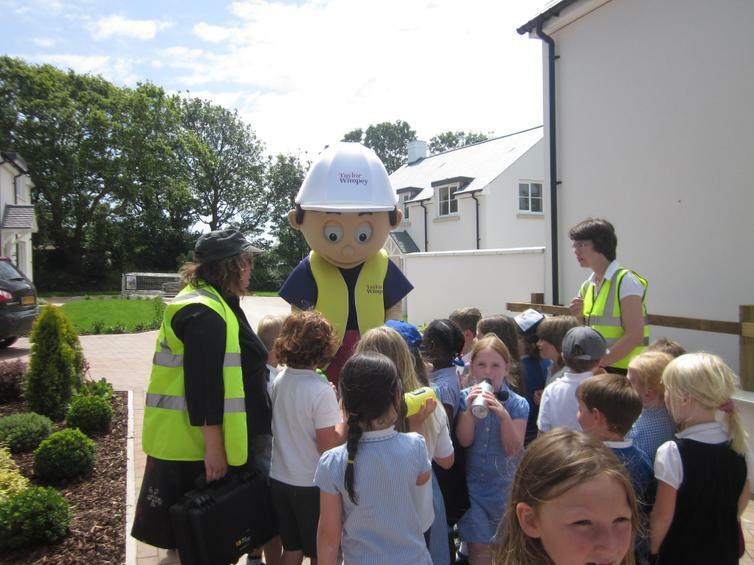 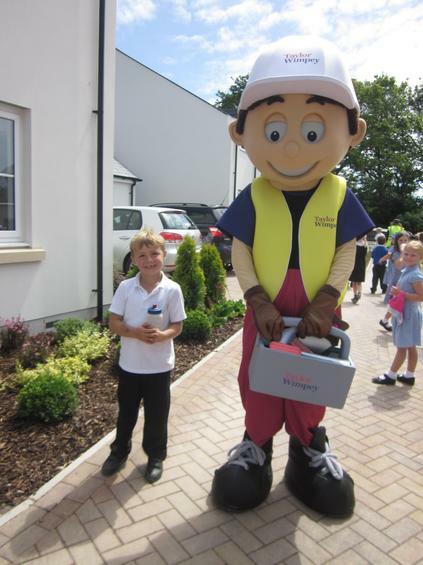 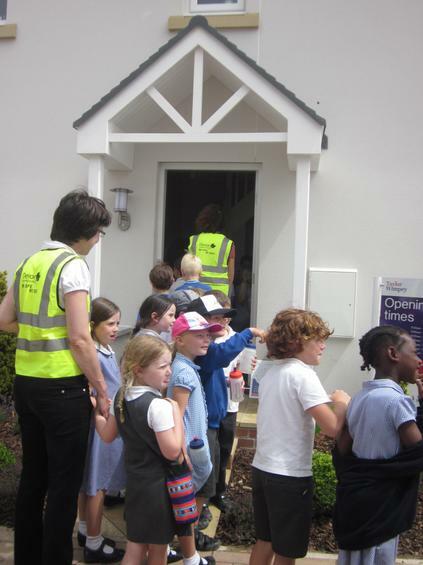 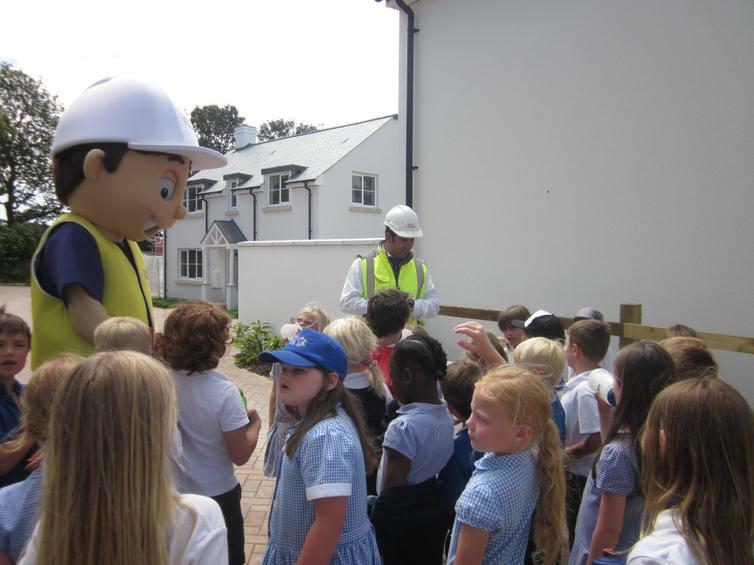 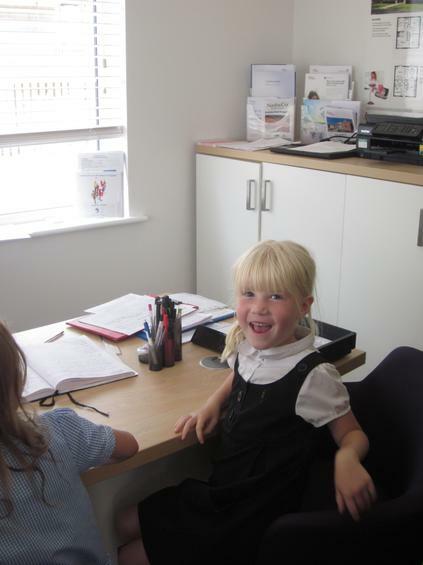 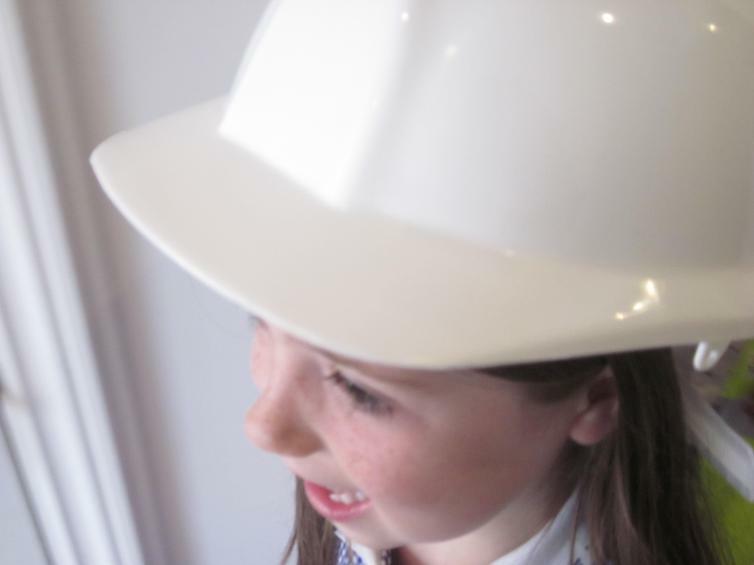 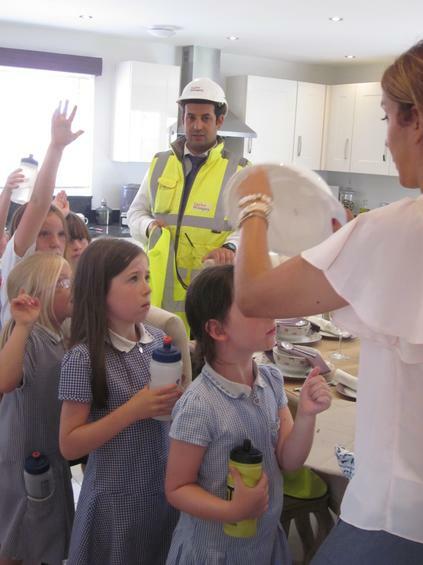 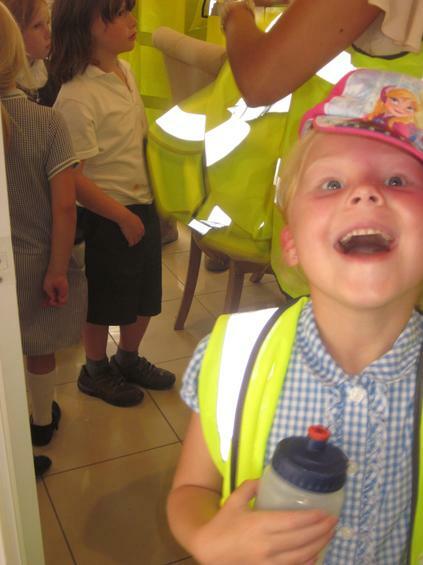 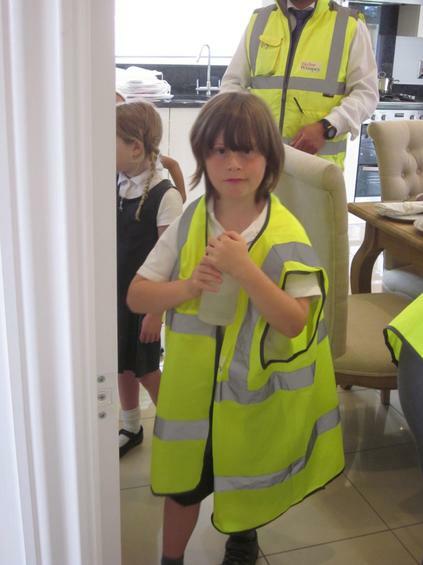 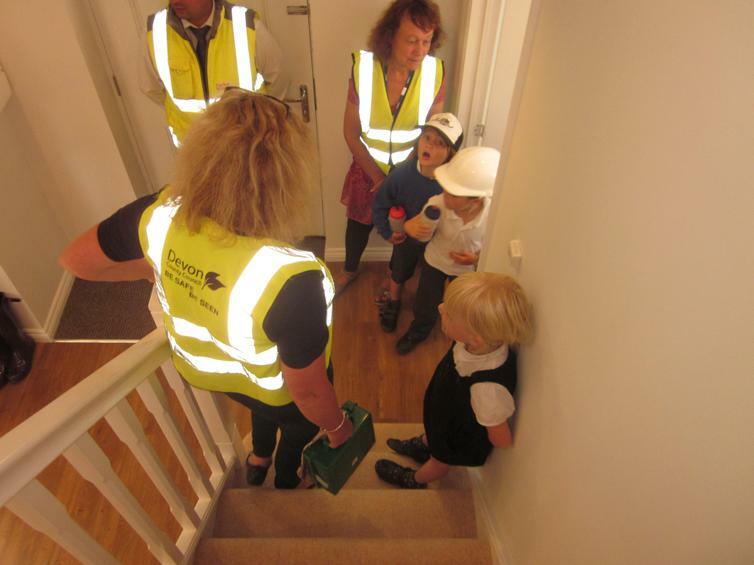 Year 1 had the opportunity to visit Barton Brake, the new Taylor Wimpey development in Wembury. 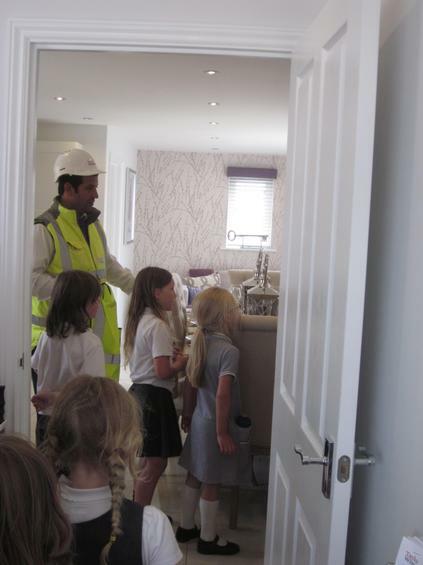 This was for a number of reasons - firstly a pupil from the school had named the development and they wanted to see how the homes were being built and to ask lots of questions. 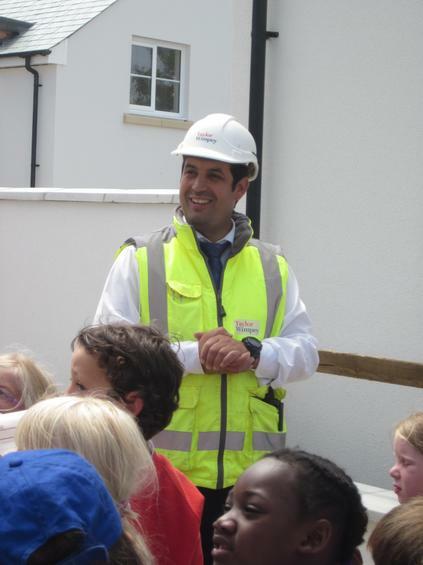 There were some very good questions like - how long does it take to build a house? 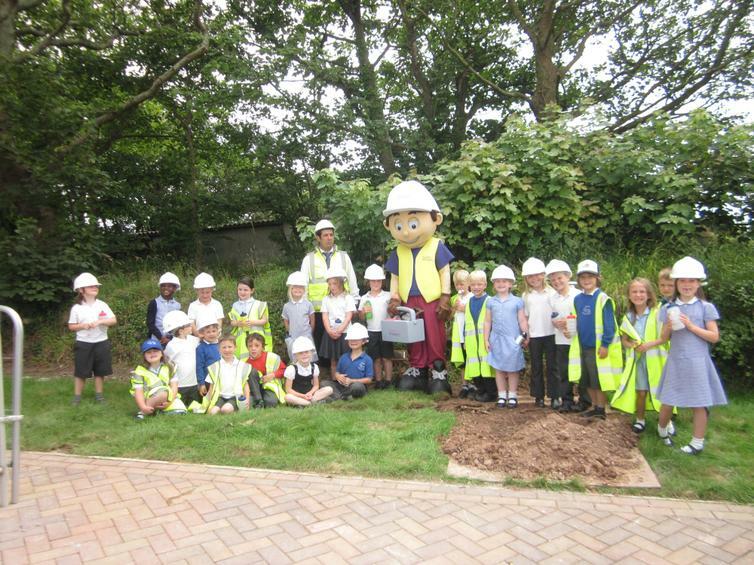 How are bricks made? 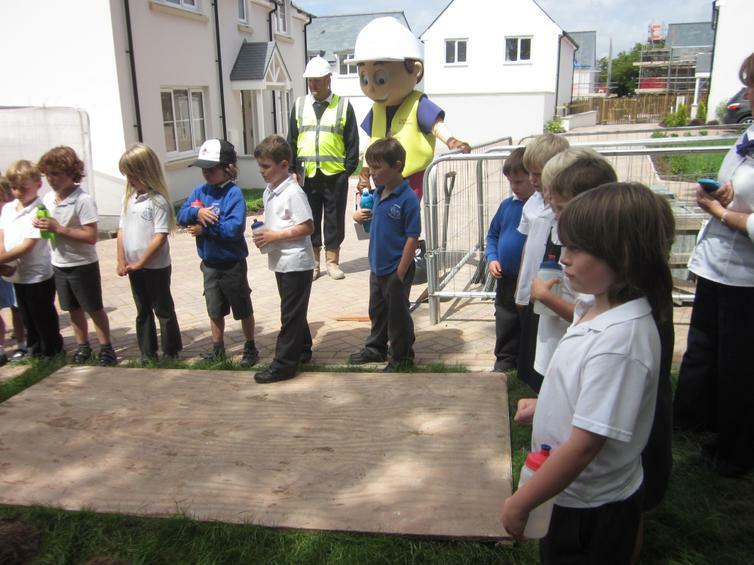 How do you build a house? 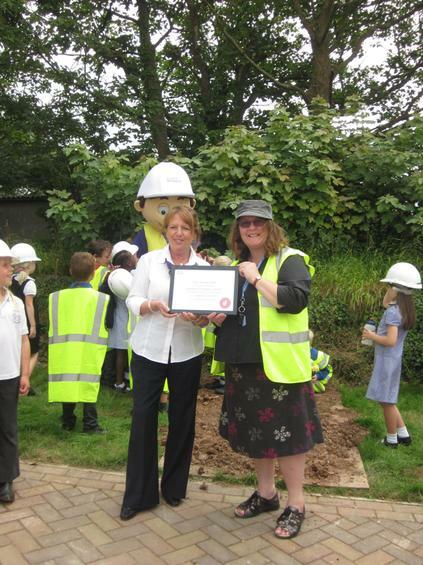 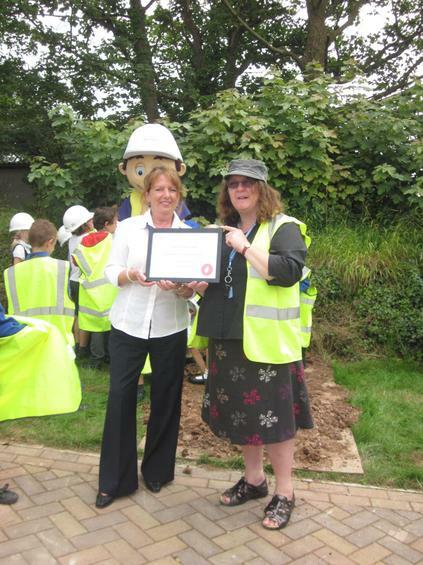 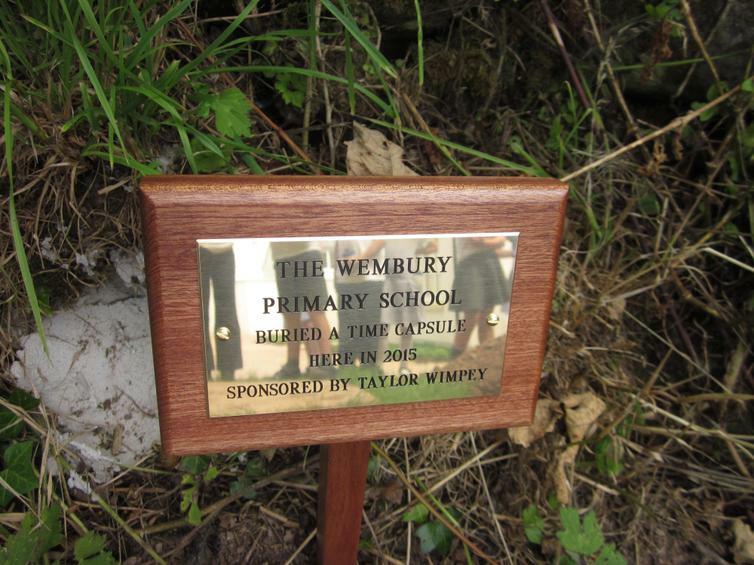 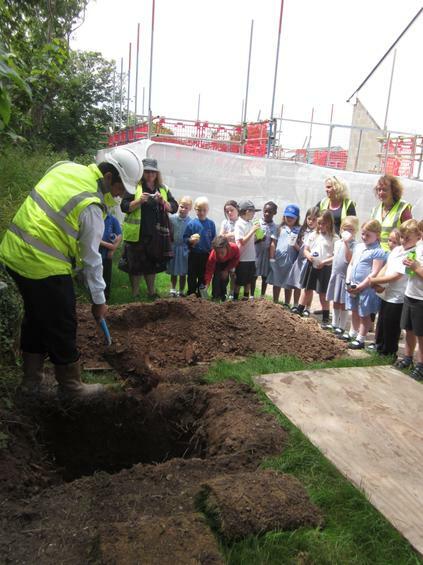 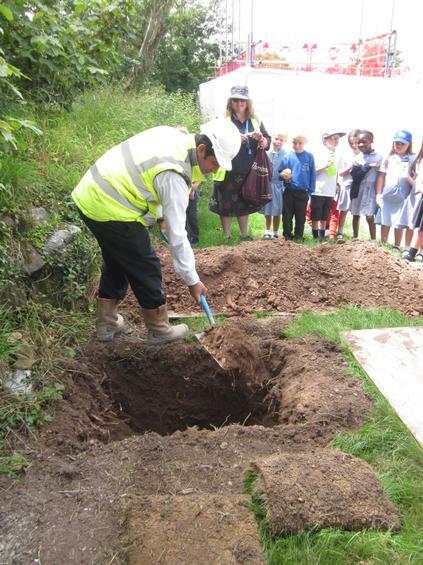 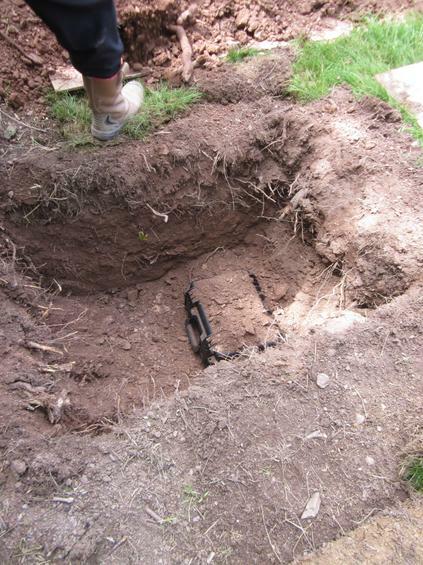 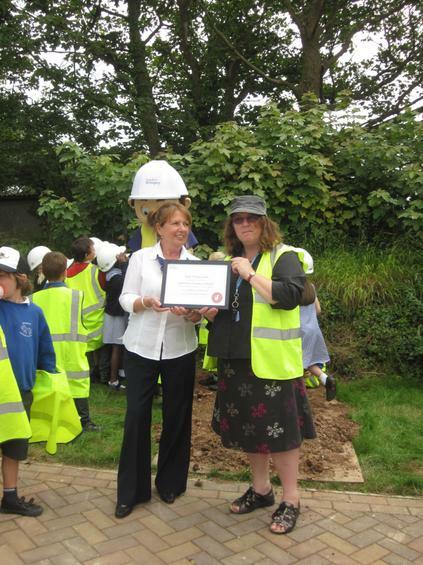 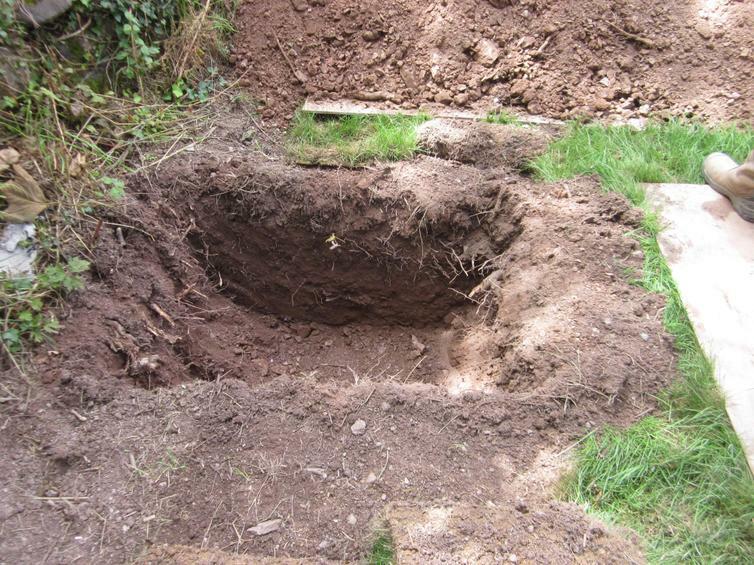 Secondly to bury a time capsule, that Taylor Wimpey kindly provided. 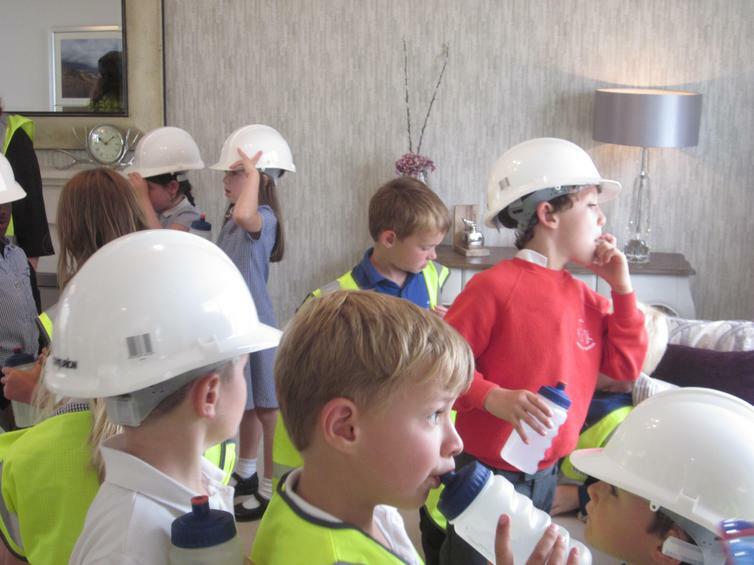 The pupils donated all kinds of artefacts, including designs for the future, photographs, uniform and school work, as well as letters to the future generation. 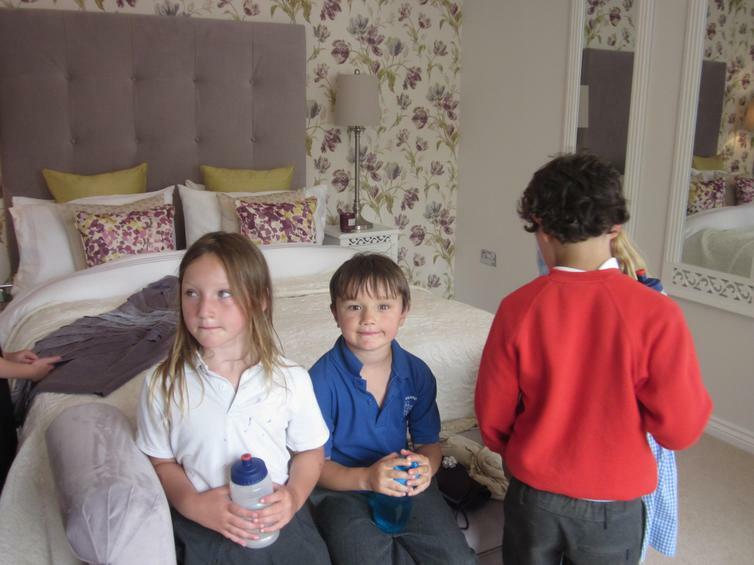 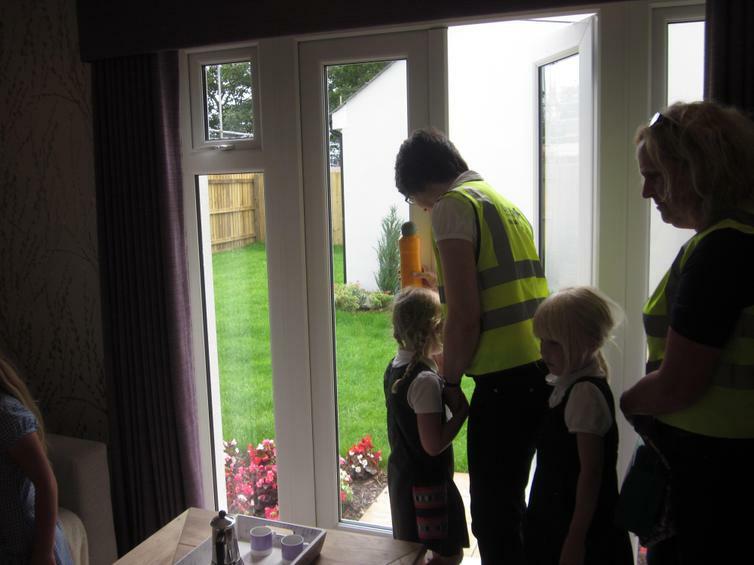 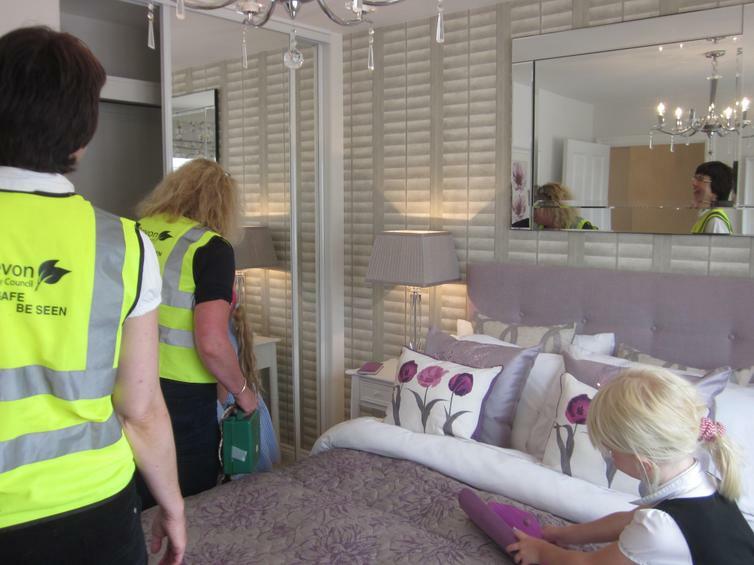 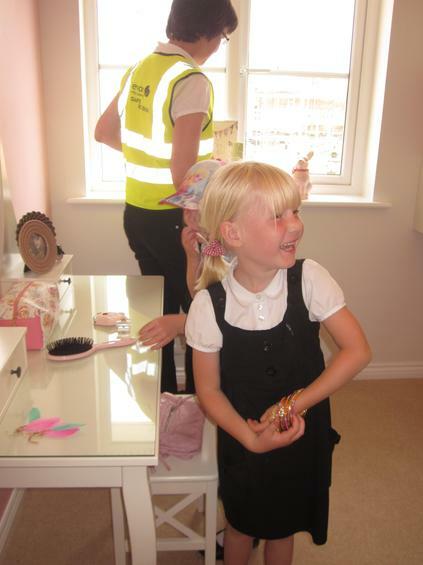 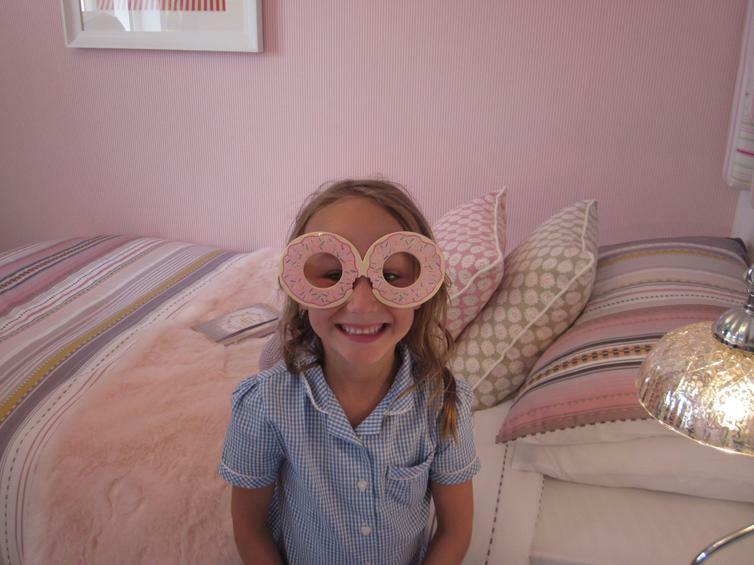 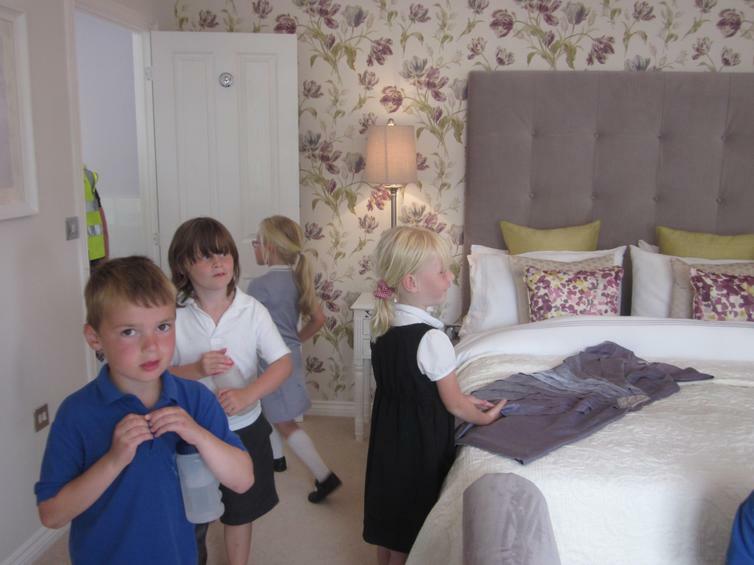 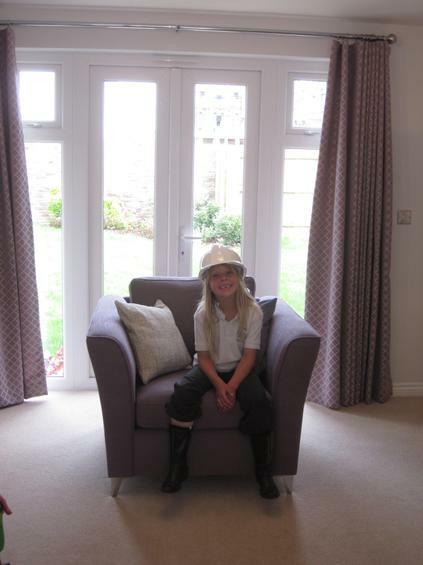 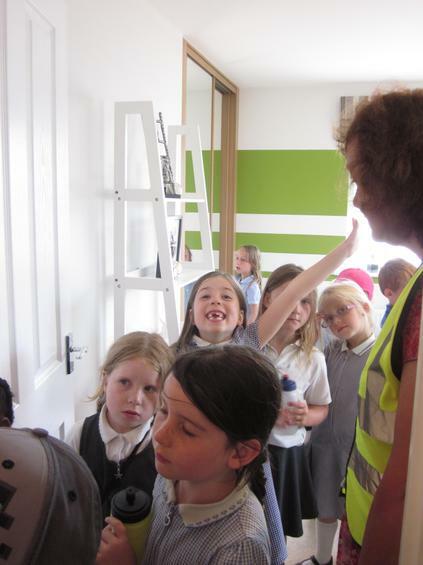 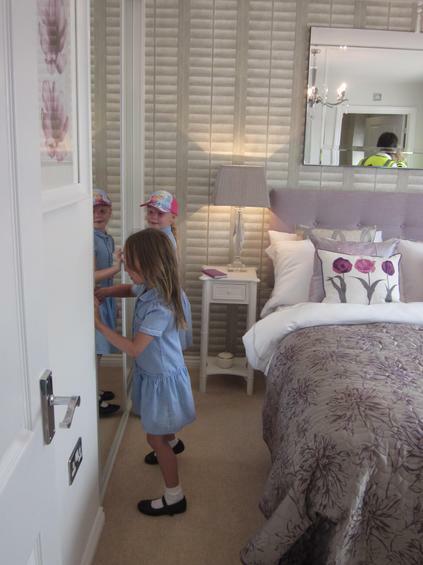 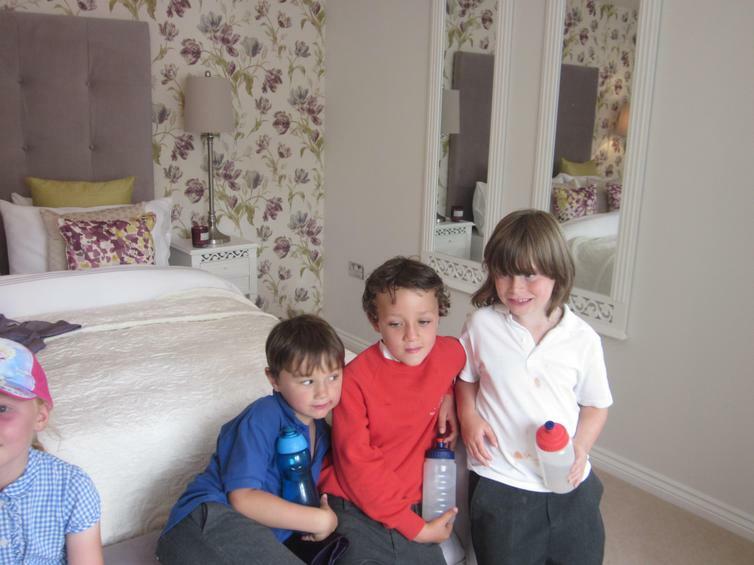 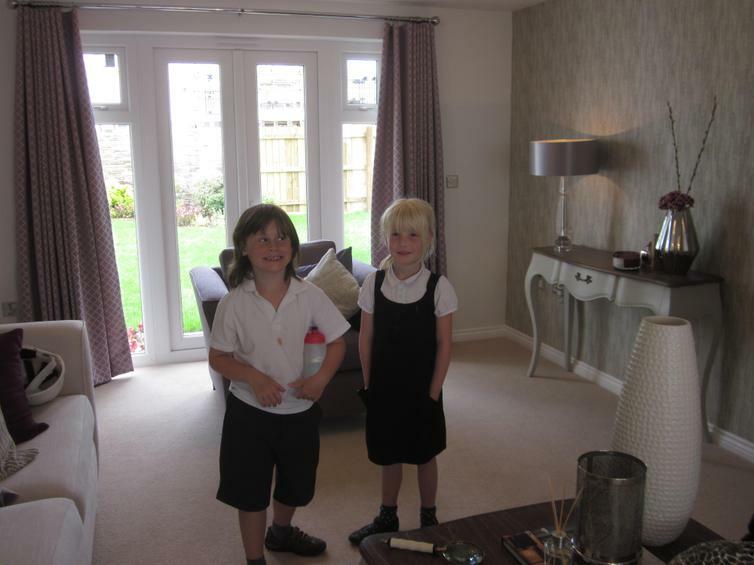 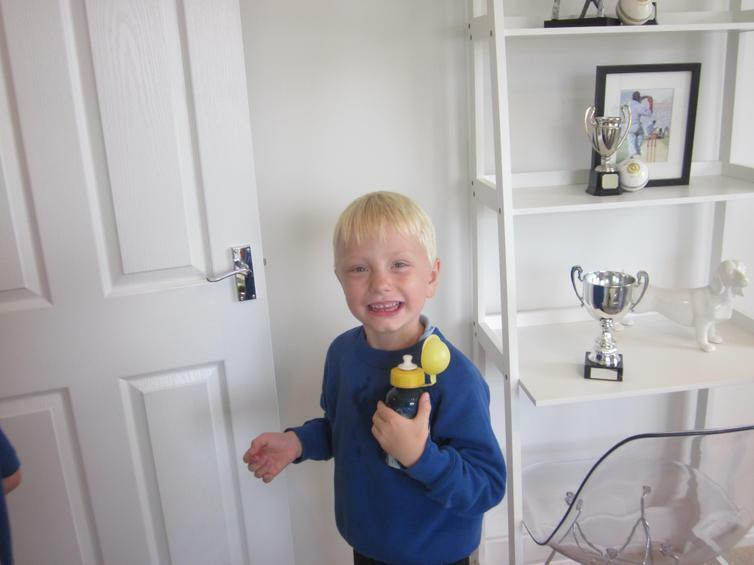 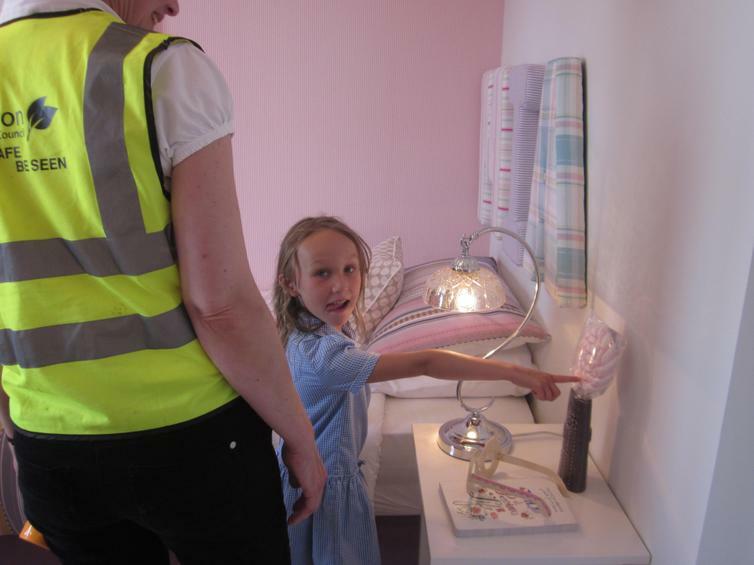 Thirdly to take a sneaky peak at the show home - it was wonderful! 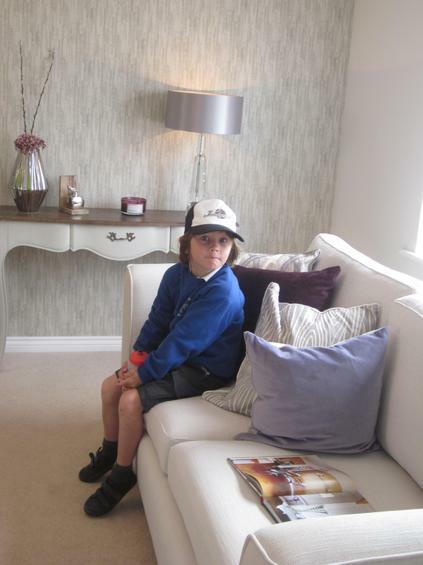 I'm not sure the décor was left in the same place. 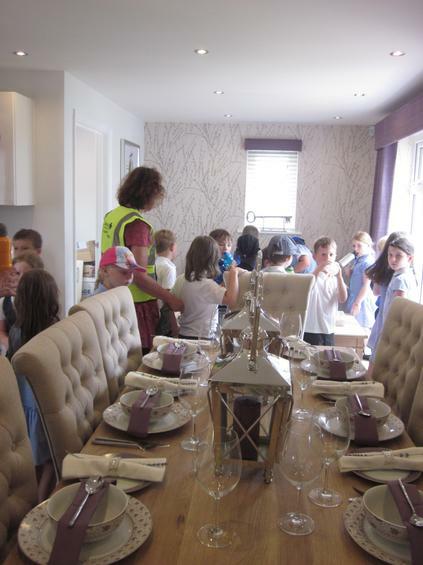 Take a look at the photos!!! 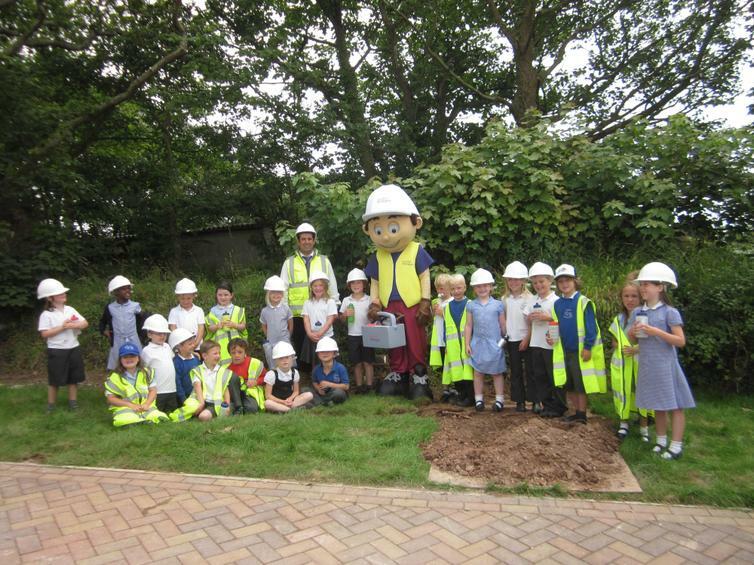 And lastly, but not least by a long way, they met Bart the Wimpey mascot! 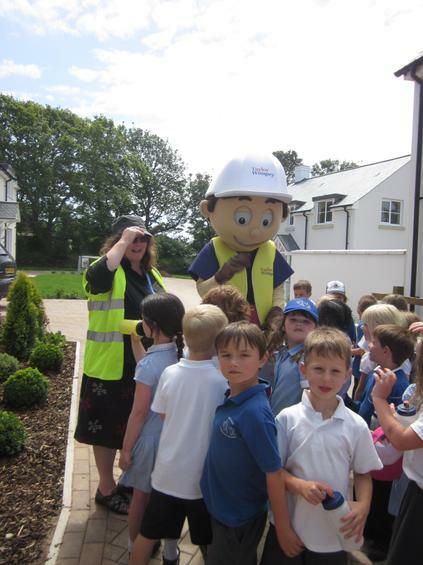 Year 1 were very taken by him and noticed he needed help to walk as he had very large feet! 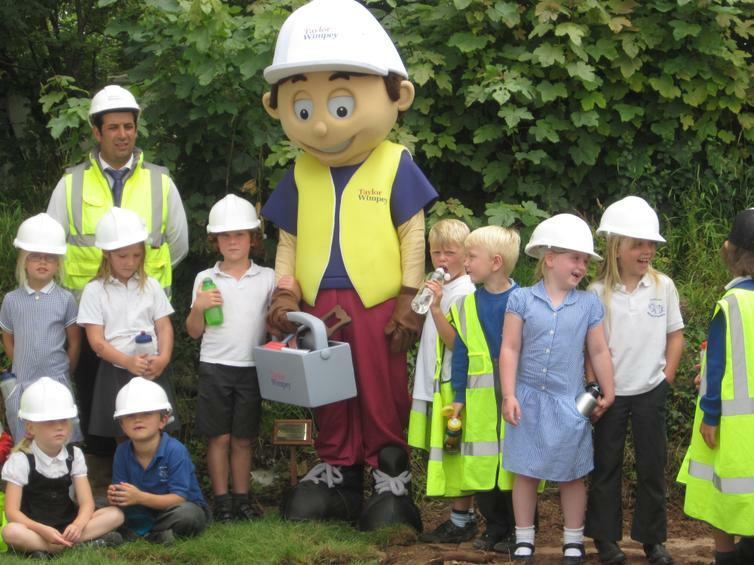 This was an amazing opportunity to follow up on the health and safety talk, provided in an assembly, by Taylor Wimpey, as well as educate children, in conjunction with a functioning business, through a collaborative approach. 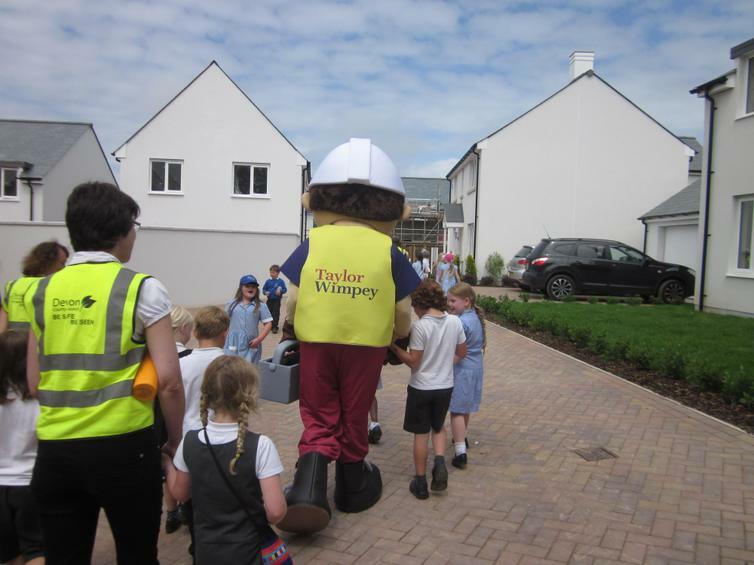 Thanks must go to Taylor Wimpey for providing this opportunity.